For some, the end of August is a busy time – start of school, end of summer, last-minute vacations. 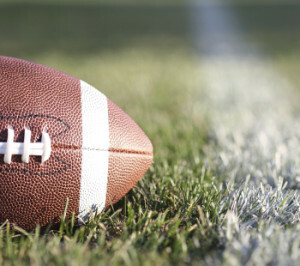 For others, it brings a most anticipated time of the year: the beginning of football season. In the south, where fall is often synonymous with football, our weekend activities focus around the television if we aren’t lucky enough to be at the stadium for the game. Just because you can’t be at the game doesn’t mean that your game day experience should suffer. Here’s where Priority One can help. Priority One is more than a security company. We are specialists in many facets of residential audio/visual needs, which makes us the perfect provider to create your in-home game day experience. 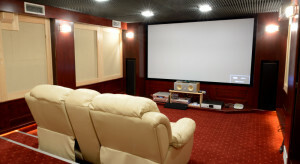 Whether you’re looking for a simple surround sound system or a sophisticated home theater experience, Priority One can install your new system with components by well-known distributors like Yamaha, Bose, Sony, Epson and more. As an added bonus, Priority One can wire your home for structured wiring to include TV, phone and data – that means less focus on all those wires and more focus on the big game! Let Priority One help you build best game day experience for you, your family and friends. Leave the installation up to us so you can direct all your energy to your team and the season ahead.